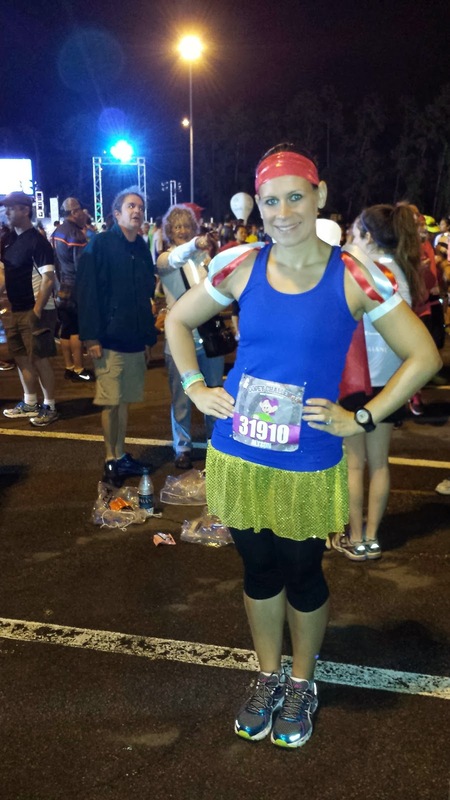 Disney Runs in the Family: Throwback Thursday: 2014 Dopey Challenge! Okay, here it is! 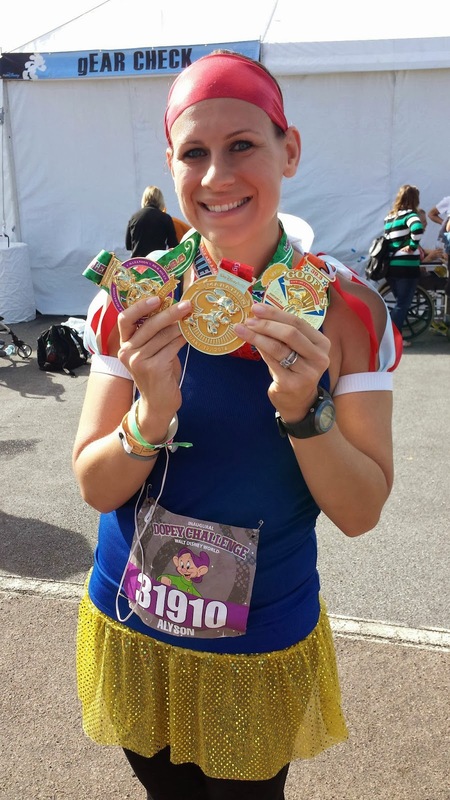 The final chapter in the race reports from the 2014 Walt Disney World Marathon Weekend: the Marathon, and the end of the Inaugural Dopey Challenge. Check out the first four parts HERE, HERE, HERE, and HERE. So, we had been in Disney for five days already; I had already run 22.4 miles and walked who knows how many more. I’d been lucky enough to feel amazing through the first 3 races and had followed my race plan exactly as I had laid it out. Today, though, was different. It was the marathon. This is a no-joke distance that had quite honestly given me a lot of trouble. I have never run the marathon even close to my “projected pace” based on my half marathon time. I have never really been proud of my marathon times. I know, I know, just finishing is a huge accomplishment. Yes, it definitely is! But as I continue to run and work hard at this hobby, I was really wanting a success as I would define it. I had secretly hoped for a marathon PR; no, my previous time wasn’t great, but still, who would hope for that as part of the Dopey? 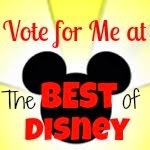 I think I had mentioned it in passing to my hubby, but that was really it. I had outwardly set out my goal to be “just to finish” (just…yeah right…that’s 48.6 miles…no “just” for sure!). My morning routine was the same…I’m sure you’ve read enough about peanut butter and jelly. This morning, though, our room was very quiet. The bus ride was very quiet. The walk to the bag check was very quiet. I was scared. Really, really scared. Like, almost in tears, scared. I had worked so hard for this moment; I don’t think I can do this again if I don’t succeed. My hubby took some starting area pictures quickly and I went straight through to the starting line. The bus was a lot later this morning and I was feeling rushed. 2 port-o-potty stops and the fireworks were being released. I only got into my corral as the race started. No extra time this morning! I think this is a function of this race being heavily local. People just don’t get there as early and it’s just more congested. Once corral G got off (pretty quickly, just like the day before), the course was the same as the half marathon to start. Streets around Epcot, running in the dark. My race plan for today was a 3:1 run/walk ratio. Again, I’m not usually a run/walker, so I had to squash the urge to run that first mile. My head was filled with the voice of Jeff Galloway saying “You’ll be passing people the last 6 miles with a smile on your face.” I wanted to be that person, so I did it. I started slow. I stuck to my intervals. I squashed the urge to run to get out of the crowd. It was also much cooler this morning, almost perfect marathon conditions. I was sweating early, but it didn’t feel too bad. Our first stop, just like the day before, was the Magic Kingdom. I was really pushing my running intervals to stay on pace (my Garmin may have been my favorite Christmas present in a long, long time…I love knowing my pace at any given time). I was keying into my music and quietly watching runners around me. 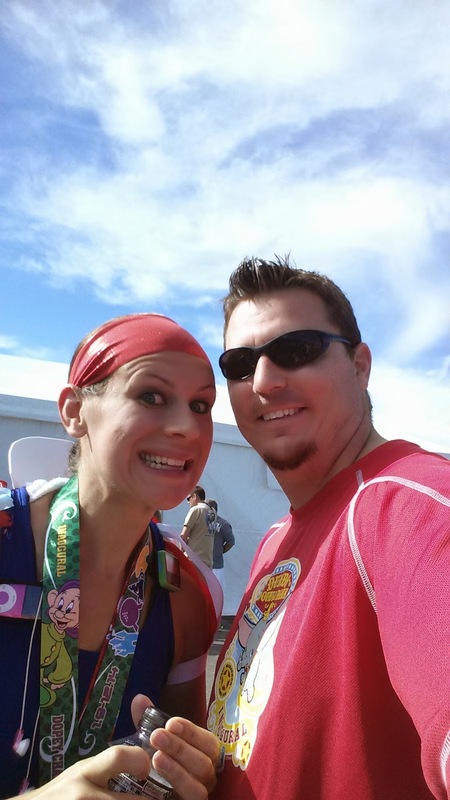 I talked to a few people, one of my favorites was a woman with Autism, running as part of Autism Speaks. WOW—she was awesome! We entered the Magic Kingdom through Main Street USA, same as the day before. Still magical. No matter how many times you do it. As we went through the castle, I saw my mom and hubby cheering as part of the ChEAR Squad. I slowed for a moment, but they didn’t see me. I was right on pace and it was too early to stop the momentum. We were out of the Magic Kingdom quickly and on the road again. We passed by the Grand Floridian, my favorite hotel that we stayed at many times when I was a kid. I have so many amazing memories with my family there. Someday Bill and I will splurge and stay there (we are actually thinking about a 10-year anniversary trip). There were still parts of the course that narrowed here, and I tried my best to signal for my walk breaks and stay to the right side. Quickly, we were at the Speedway. Actually, it was really quickly. I hadn’t missed an interval, and was maintaining the same pace, feeling great! Just like in Disneyland, the cars aren’t my favorite part, but it definitely broke up the course. The owners of the cars were there, and some of them were very spirited. It was a lot of fun! After the speedway, we were off to the Animal Kingdom. On the way in, I met another runner in the same costume. We chatted a bit, but she was doing the pictures/experience thing (I did that last year during Goofy) so I ended up losing her within the park. I love talking to people on the course, but sometimes I get a little shy J I will say it again, the Animal Kingdom is not my favorite park to run through. I don’t like the uneven surfaces and the up and down of the course. I feel like that park is a love/hate relationship with many, and I know of a ton of people that LOVE it. I’m just not one of them. On the way out of the park I saw Ali Vincent’s mom waiting for her to come through (she must have been pretty close behind me). I love Ali Vincent—I got to meet her last year at Disneyland and she is an absolute doll; so inspirational! Back on the road, and we were halfway there. I felt good, but I knew that this is where the race started for me. I feel like I’m at the point where I can run a half marathon any day, but 13.2, that’s HARD. I had to keep pushing, even though my head was starting to drift. At the front of the park, there is a lot of narrowing of the course, so I had to slow down a bit, which just meant I had some time to make up. More miles on the road. I knew our next stop was the Wide World of Sports, and I knew I’d see my family. We entered WWoS around Mile 17, I think. We wound through a bunch of fields. It was a great distraction. I knew my family was at the baseball stadium and was really looking forward to seeing them. This is also around the time you get the wet sponge/towel…ahhhhhh…it felt so good. This year I decided to keep it on my neck so I could continue to cool myself down. Sooooo, this is where it gets emotional. I looked at my Garmin. I was doing it. I was on pace to crush my previous PR. I mean…crush! It was that moment that you hope no one is looking, because I totally got the ugly cries. Get it together, there is still a long way to go! I had to actually do self-talk because I was having trouble catching my breath, trying not to cry. I finally took the sharp turn into the stadium, and I saw the great signs my mom made. I couldn’t stop smiling, and I could tell they knew how amazing my run actually was going. I was feeling so strong (and for the record, yes, I’m tearing up again even as I’m writing this). After the stadium, you loop around to hit mile 20 and start to see the waves of runners entering where you just left. Those runners looked awesome and it was great to cheer each other on. I know this course well and knew that mile 21 was tough (it’s a killer overpass), and I also could hear the words of many saying “the race starts at mile 20.” I was running strong, and must have looked good too, because even the green Army men said so! We were on our way to Hollywood Studios, I kept my intervals, and I passed the straightaway that had given me a ton of trouble on previous races. Hollywood Studios flew by. To be honest, I don’t remember most of it (darn…should have written this sooner). Yes, I was starting to get tired, but I kept up on the intervals, even if I slowed a few times. We ran out the front of the Studios and the crowd really perked up. I cannot thank those who show up to cheer on these mornings enough—it’s a great pick-me-up. As I ran, passing people, I couldn’t help but hear Jeff Galloway’s voice again…and he was right! I was passing people all over the place. People were cheering and were excited watching me fly by. Wow…I must really look good! Okay, ugly cries, ugly cries. Yes, it happened a few more times. I was keeping on pace. Yacht & Beach Club, then the final leg: Epcot. This was really about to happen; I was about to finish the Dopey Challenge. Yes, you guessed it, the ugly cries, and this time there were tons of people around. Hard to hide it. The countries ticked by and we were off to the finish. What is that I hear? The Gospel Choir. YES! This was it! The finish is just around the corner. There is was: the finish line. I tried to catch my breath and gave it all I had to cross strong. I stopped my Garmin. Try to hold it together, Aly. YOU JUST PR-ED THE MARATHON!!!!!!! Holy *&^% (this is a G-rated blog, but be creative). My final time: 4:42:12. Yes, that is a 26-minute improvement over my fastest marathon. (For the record, my PR was from my first marathon in 2005) No, I’m not qualifying for Boston or anything, but this was amazing for me. Talk about trying not to cry too much. I still can’t believe it. I really rushed through the finish chute to get to my family. I collected my medals, thanked every volunteer I could find, and hugged the volunteer who put the Dopey medal around my neck (while apologizing for my sweaty, smelly self). I collected my bag and met up with my hubby and mom. Yes, I cried when I saw them too. They got it. My husband has spent many weekend mornings alone while I pounded the pavement. My mom had to listen to me obsess over training during our daily phone calls. My hubby kept snapping pictures; I guess I’m not one to show emotion too often, so he had to document this event. I took many pictures with my medals, and with two of the many people who had supported me on this journey. I posted on Facebook. I checked official results, just to be sure that I wasn’t dreaming. I could really go on forever; this was one of the best experiences of my life. I felt amazing through all four races, and I have to give one person credit: myself. I know that sounds a bit conceited, but I think it’s an important message. I made this happen; I made this dream come true. It was a lot of hard work, but I would not have done it any other way. To be able to get to that finish was amazing. To feel great at the end was even better. To be able to walk away with a PR and memories to last a lifetime; it’s indescribable. To sit here, writing this post, and still tear up, that speaks volumes to how much this experience has meant to me. I have a feeling I’ll be writing more posts about Dopey, how I approached the challenge, and the many things I did to find success. Thanks for coming along on my journey to 48.6. I hope if you took on this challenge, you, too, found success. I hope that if you are looking for inspiration to run your first race, run a new distance, or finally get that PR, this story has made you smile and realize that it’s all worth it. I am in no way done, as I whole-heartedly believe we are all a work in progress. 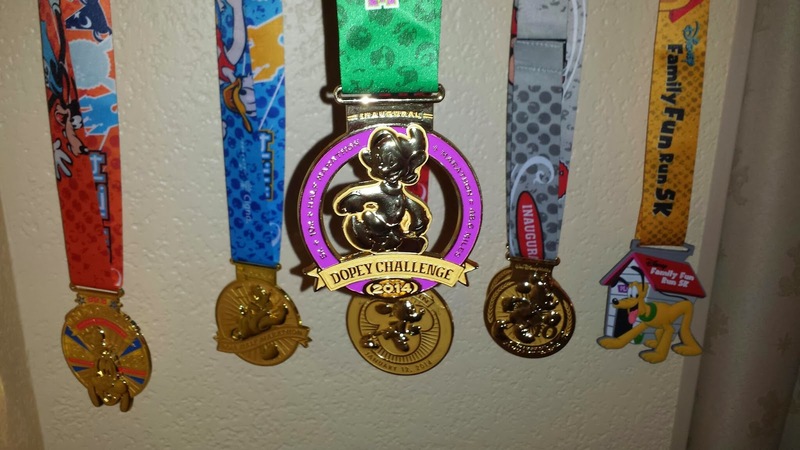 I’m not sure what my new running goal will be, but I do know that it will be hard to beat my experience at the 2014 Inaugural Dopey Challenge!